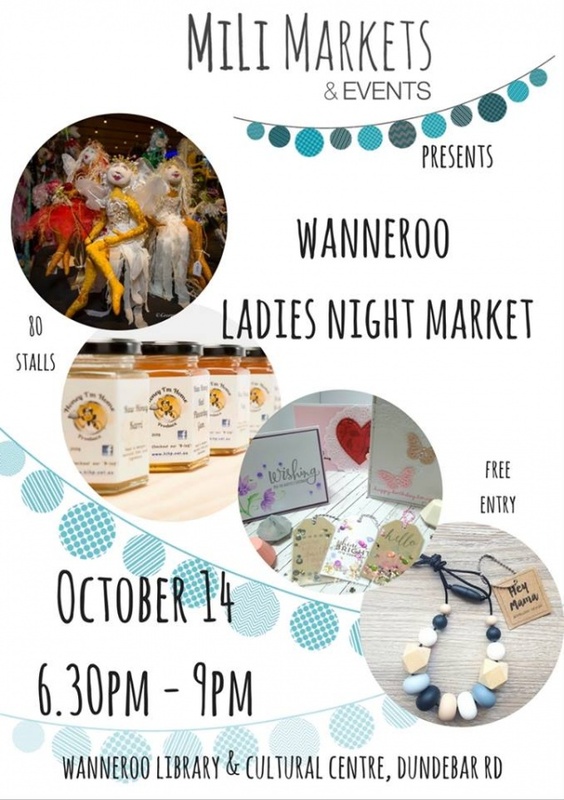 commented on "We invite all our friends to the Ladies Friday Night Market this Friday 14 October from 6:30pm to 9pm ..."
We are at the RoyalTea WA will introduce you our new Spring and Xmas Tea Collections, new tea ware and teapots. Please see us at the second floor just right at the centre! If you mention this FB ad we will give you 10% off of your entire purchase from our stall on the night! Address is Wanneroo Library and Cultural Centre, cnr Dundebar and Rocca Way Wanneroo. - There are free cupcakes for the first 100 shoppers to Ben's Nom Nom stall on the night. - There will be a few flash-mob type chorus performances done by the Indian Blue Chorus on the night.